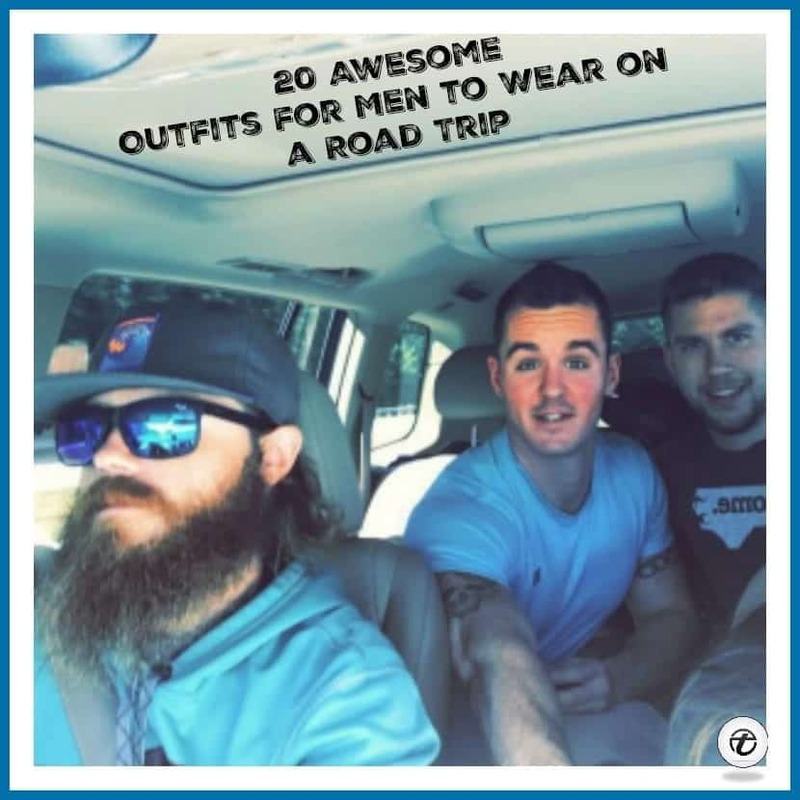 Men Road Trip Outfits – Road trips are the perfect way to relax and explore the world. Whether you are travelling with friends, family or your significant other, this is going to be the most adventurous ride of all times. In all the excitement and traveling preparations, you may forget to decide your outfit for the road trip until the last minute. While road trips are a lot of fun, they may also get very tiring especially if you decide to drive your own car. The long hours of sitting tend to exhaust you and that could get a whole lot worse if you are wearing something you are not comfortable in. As a result, you end up missing out on all the enjoyment and the relaxing trip becomes a hassle instead. Sounds dreadful, doesn’t it? Well, we are not here to scare you. We are here to save you from that trouble and provide you with all the right information you need to know to decide your outfits. 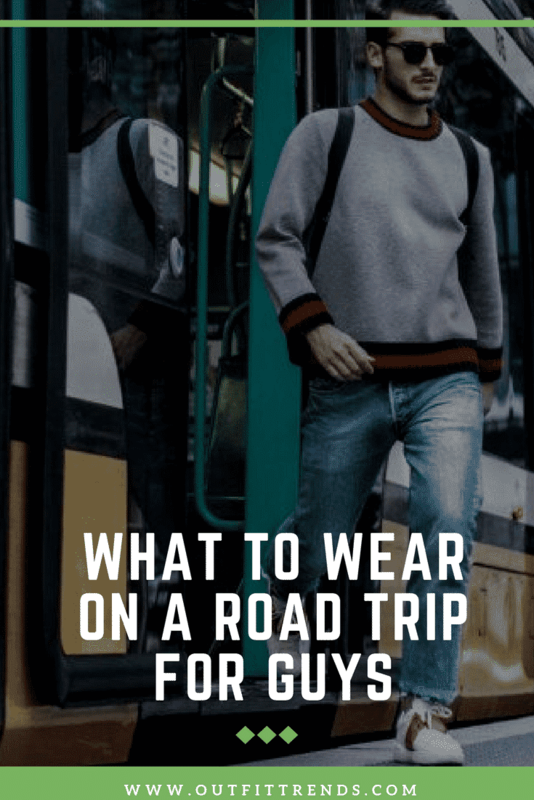 For more tips and ideas, we have rounded up a list of 20 outfits for all you men that you can wear for a road trip. Take a look at these outfits and choose one that suits you best! Boys, you cant possibly be thinking of going on a trip without one of these classic tees. It is definitely a must have because of the various ways in which it can be styles and the different places it can be worn to. For more ideas, do check out these Men White Shirt Outfits. This is an ideal piece of clothing to stay easy, comfortable and cool on a hot day. In summers when all you want to do is just beat the heat, shorts will be your best friends. Here are 20 Stylish Men’s Outfits Combinations with Shorts. If you want to further style a basic tee, you can simply wear a shirt over it unbuttoned. It looks casual and cool at the same time. If you are traveling in winters, you can wear a sweater in many ways. One such way is wearing it over a collared shirt to look trendy and well dressed. Here are 17 Ways to Wear Sweaters Fashionably. If you do not want to look boring, this look is for you. Stripes will add that extra chic style to your outfit. Most youngsters these days prefer t shirts with bold statements and slogans and there is no reason why they should not, they look absolutely amazing. Here are some really good Black Shirts Outfits for Men. If the weather is not too cold or hot, this is the perfect piece of clothing for you. You can wear it over denim jeans. How could you forget the classic denim look? Denim jackets look super stylish and give a great effortless look. Here are 17 Ways To Wear Denim Jacket. You can also style your outfit according to your destination. If you plan on visiting a beach or island these kind of prints will look great. To stand out from the rest of the people, you can focus more on your pants and wear one that is unique with simple shirt. Don’t these jackets look super cool? You should definitely consider wearing one for your next road trip. Don’t miss out these 18 Outfits with Bomber Jackets. In winters you may need some additional clothing such as jackets and scarves to keep yourself warm. Who doesn’t like wearing leather jackets? If you’ve been waiting for the right day to wear it, now is the time! When visiting a beach, don’t forget a pair of shorts and shades. Here’s a complete guide on What Men Should Wear at the Beach? These handbags and backpacks are great for traveling if you do not have an excessive amount of stuff to keep. Not only that, they also enhance your look. Whether you are at home, going to schtravelingvelling there is absolutely no place where you can not rock a hoodie. The best shoes are undoubtedly sneakers as they work great for cold days. But if you’re not the one driving and you like to take your shoes off during the trip then you could go for slip on shoes or even some comfortable flip flops. Keep in mind that road trips are casual, so do not wear formal clothing as it will not only make you look out of place but also make you feel uncomfortable throughout. Make sure to not forget some of the other essentials such as cameras, shades, hats, munchies and of course a good playlist of songs! With everything mentioned in this article in your mind we are sure you will have an awesome and relaxing trip.